Sri Lanka is an island country located in the Indian Ocean, off the southern coast of India. This legendary ancient kingdom features magnificent wildlife, pristine beaches, quaint tea estates and bustling metropolises. 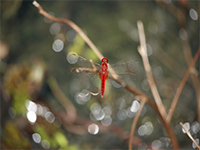 Sri Lanka is a recognised bio-diversity hotspot and conservation efforts are plenty and active. Even though the country is small in size, there are 24 wildlife reserves here. 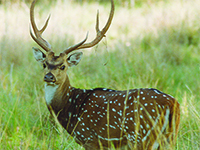 Sri Lanka’s diverse fauna includes teak, mahogany, ebony and ironwood trees, flowering acacias and evergreen forests. The UNESCO World Heritage Site of Sinharaja Rainforest (part of Wilpattu National Park) is home to numerous endemic and endangered species of flora and fauna. Almost 60% of the tree species found here are endemic and 50% of Sri Lanka’s endemic mammals and insects dwell here as well. The country has over 250 resident bird species out of which many water birds including storks, pelicans and ibis can be found at Sri Lanka’s largest national park, Wilpattu National Park. 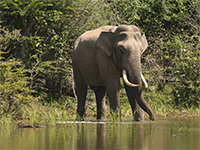 Tourists, however, prefer to visit Yala National Park located 300 kms away from the capital. 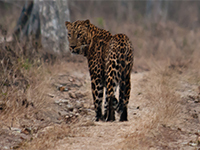 The park is famous for its population of Asiatic elephants and leopards. There are also over 120 species of birds found here. The coast off the quaint seaside town of Weligama has one of the highest concentrations of dolphins and whales. 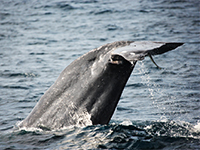 Nowhere in the world do blue whales come so close to land as they do near the southern shores of Sri Lanka. The people of Sri Lanka come from many different faiths including Buddhism, Hinduism and Christianity. The locals are friendly and a majority of the urban population can converse in English. The capital city of Colombo is a melting pot of culture featuring beautiful architecture, pretty markets, a peaceful beachfront and various shopping and dining opportunities. The hillside city of Kandy and picturesque cityscape of Jaffna also deserve a visit.